A claim against, limitation on or liability against real estate is an encumbrance. 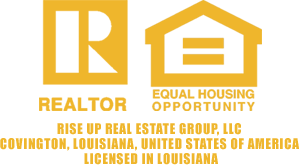 Encumbrances include liens, deed restrictions, easements, encroachments, and licenses. Liens can come from a variety of directions. If you don’t pay your property taxes or your income taxes, you can have a lien placed against your property. When it comes to the IRS, you can even have blanket liens placed against you in multiple states. If you have major work done on your heating or air conditioning system and you don’t pay in full, you could find a mechanic’s lien on your home when you got to sell it. It will have to be paid before the home can change ownership. Any work to the property that isn’t paid for could result in one of these liens. It’s good practice to retain receipts and canceled checks for all work to your home, and for major stuff get a lien release as well. Non-payment of local property taxes, or even water and sewer bills can result in a lien as well. 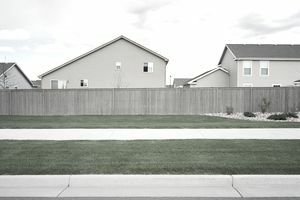 HOA, Homeowner Association and Condominium association dues and fees must be paid, or you’ll likely find a notice that a lien has been filed. If the city places sidewalks and you’re legally assessed a portion of the cost and do not pay it’s a lien. It’s just good sense to know how liens work to protect your ownership and interest in your property. Liens can come from losing in a lawsuit as well. The lawsuit need not even be related to your home or an injury or claim about it. If you own your home personally and your sole proprietorship business is sued, a loss could result in a judgment against you and a lien being placed on all of your assets, your home included. Deed restrictions, as the name implies, are written into deeds. They pass from owner to owner forever. So, if a property owner decides to sell and has a restriction placed in a deed as to what future owners can or cannot do on the property, it’s an encumbrance. These can be troublesome, especially when large parcels are broken up and sold off as parts of an estate. If the owners and heirs restrict the use to agriculture or ranching and preclude ever having a business on the land, then that passes forward from owner to owner. Easements are very common. Utilities place easements around and along property lines to be able to install and maintain electric, water, gas and sewer lines. Roads and streets have easements taking up some of property along property lines. I’ve seen rural area easements for surrounding property owners to cross another’s property lines to get to theirs. Suppose a neighbor is unclear about a property line and places a fence a foot into another’s property. That’s an encroachment. It will be noted in surveys and title insurance policies until removed. This can even apply to old fences that no longer stand. If a surveyor sees an old downed fence line, it will be drawn and noted in the survey. It will be noted as an exception in the title insurance policy and could be noted as an encroachment. On the subject of Exceptions in the title policy, and old road track through the property that originates off the property will also be drawn and noted by the surveyor. It will be an exception from title insurance coverage as well. The title insurer doesn’t want a claim to come from an adjoining property owner saying the road is one they use to access another part of their property. The point is to be aware of all of these possible encumbrances and read all inspection, survey and disclosure documents to catch things like these. An encumbrance can restrict the owner’s ability to transfer title to the property or lessen its value. It represents some right or claim of another to a portion of the property or the use of the property.